tl;dr Every so often I go through my podcast apps and list and see what I like the best. I’ve been getting a few requests as to what I am using as app and which podcasts I am subscribed to. Here’s my list. My iOS devices is how I listen to podcasts. I tend to not use my computers. The iOS apps available are default, free, and paid. I am paying for the one I am using. It’s professional, complete, handles big files and HD video like a charm, has great support and continued development. The interface is the way I like it (for 75%) and comes with more than plenty of features including paid podcasts (requiring a login) support, custom links, importing of OPML files and your own media files. 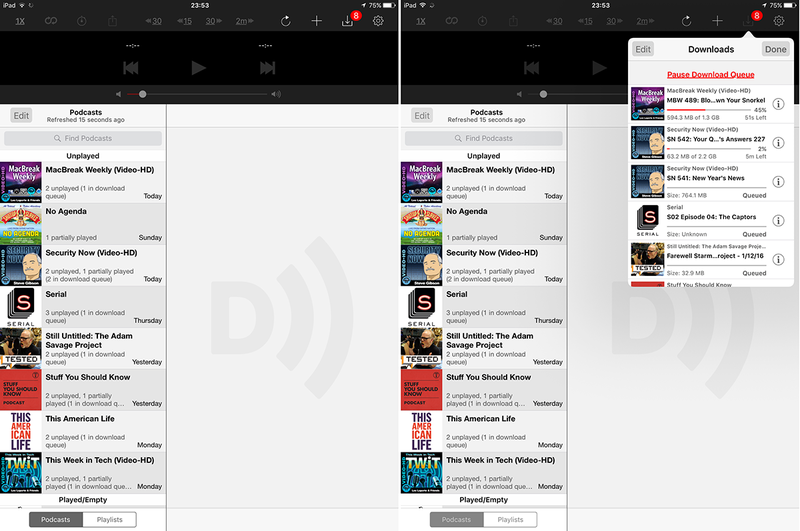 I am simply not a fan of the popular ones like the default one from Apple or the free Overcast app. The interface is loading fast, right there, the buttons are responding nicely when I click them and have the functions I need from them. 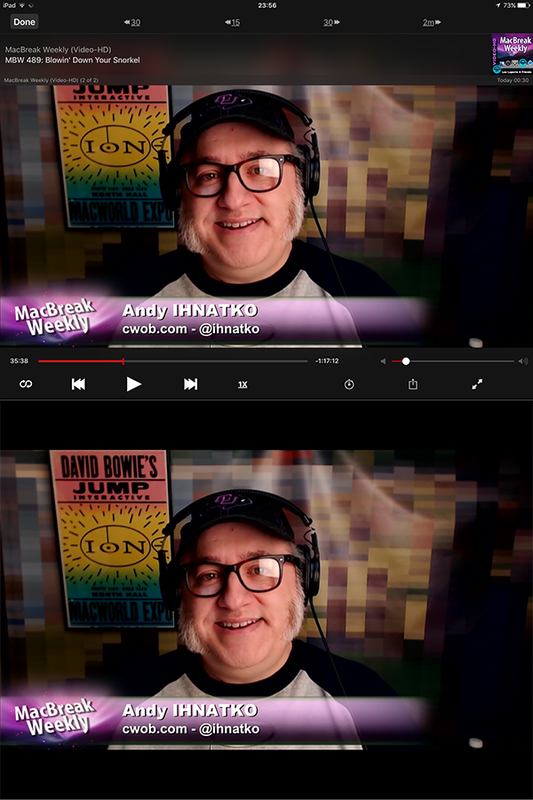 Holding on to the play button allows lets me choose between the video or audio file. The latter is great when I just want to go for a walk and listen to the episode rather than watch it. The touch interface is being used in a smart way, sliding or swiping, with one or two fingers lets you jump through the episode or episodes. And with near perfect syncing it is super handy that you can put the phone down, pick up the iPad and continue watching that episode with video, right where you left off. And the podcasts I enjoy listening to are NOAGENDA (twice a week – but I know, it’s not for everyone), Serial (season 1), and Security Now. But I have a handful of podcasts that I listen to once in a while, just because, like: How Stuff Works, MacBreak Weekly, and Still Untitled: The Adam Savage Project. 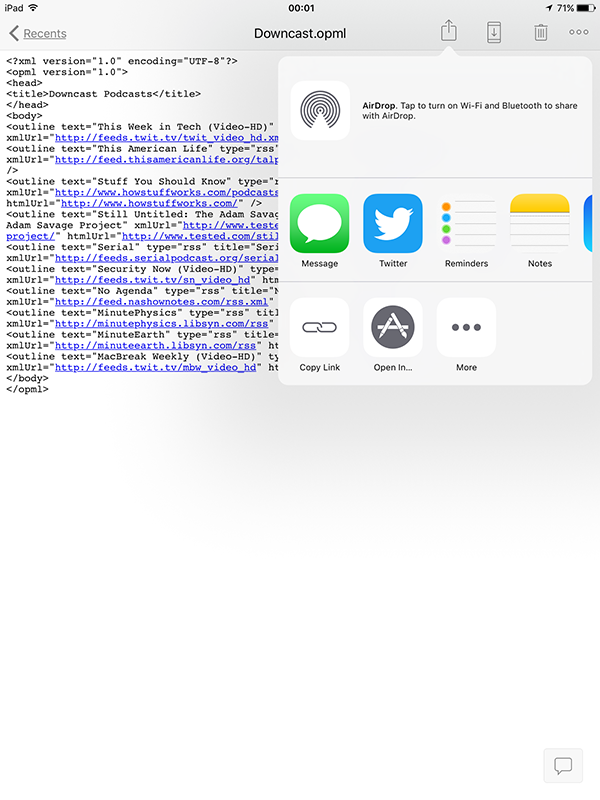 For my full list, here’s my OPML file which you can import into your podcast app. Just open it in dropbox and it will ask you to open it with your favorite podcast app. It’s easy to subscribe, unsubscribe from podcasts, so once in a while I re-install the app, clear caches etc, and freshly subscribe just to make sure I am using the podcast’s latest URL, etc. What is even more fun is to create your own podcast, yep.. you can! You can just go and record an audio or video stream, edit it to your liking and publish the media file to iTunes, soundcloud, and other podcast-hosting and distribution solutions. Then just point the Internet to the public link and let them download and enjoy your podcast. Okay, it’s time to go, I have to go for a 45 minutes walk and I have a 45 minute podcast I can listen to, perfect.